Which Show Day Service Can I Help You Rock? I WANT A PERFECTLY FITTED SUIT THAT SHINES, GLITTERS & STARS ! 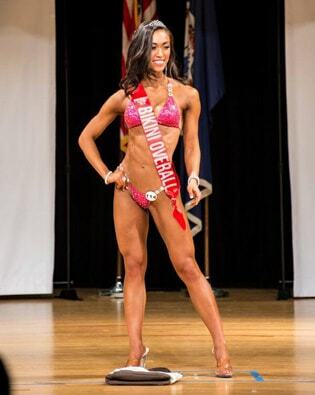 I WANT TO CONQUER THE STAGE WITH WINNING POSING & PRESENCE ! 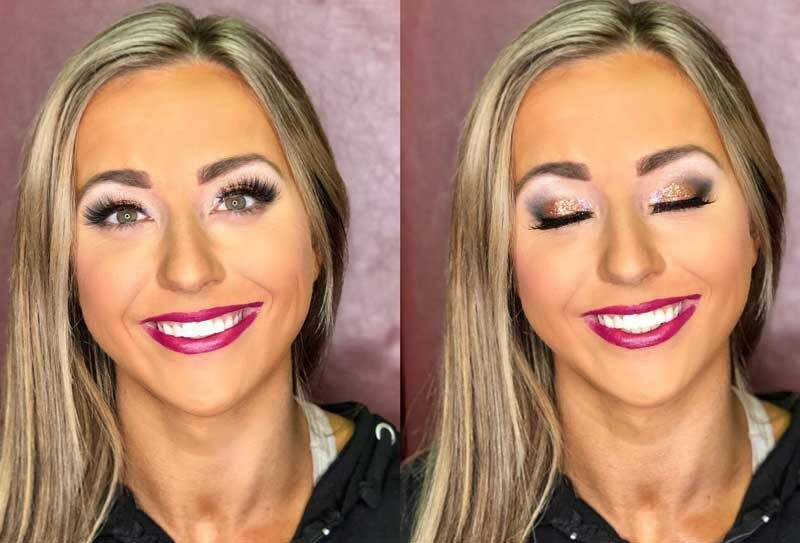 I WANT TO ROCK RADIANT & STUNNING SHOW DAY GLAM ! One of my favorite quotes is “To be irreplaceable one must always be different.” And that’s why your competition suit and show day package should strive for Unicorn Status. Set yourself apart from the competition with a made to order Shawn’s Couture Cuties suit. All our competition suits are designed with our proprietary Perfect Fit Design® app and constructed with the best fabrics, connectors and eye catching stones available guaranteeing your suit will fit and accentuate every curve on your physique perfectly! And yes (for the record) I don’t believe in off the rack mass production suits that’s like putting a bumper sticker on a Ferrari. You worked hard sculpting your physique, and that deserves to be presented in a one of a kind competition suit made just for you. So I invite you today to park your Ferrari in a one of a kind Shawn’s Couture Cuties Suit and be a Unicorn in a field full of horses. Yes Shawn, I AM READY TO ROCK THE STAGE! Your posing and presence is a way of communicating to the judges why they should score you favorably amongst your competition, it’s that simple. So give them a good reason to lock their eyes on you by presenting your hard earned physique, so it flatters your frame at its best. And that’s where I can help you rise above the rest. I will help you find your best angles, strongest poses, and stage persona, so you walk on that show day stage with unshakeable confidence armed with winning posing & presence. Lets get Glam! Put the finishing touches on your show day package with a glam look that is stunning, enhances your beauty and is irresistibly radiant. Make a statement with out saying a word with show day glam that sets you apart. If it has to do with a stage or performing in front of a camera I have excelled at it. And if you desire a suit that will be the talk of the show I am the designer you’re looking for. So rather than list a bunch of my accolades (which I have plenty) I will instead make you a simple promise. If you want to shine on stage, at your best, I can help! One of my favorite quotes is “To be irreplaceable one must always be different.” Thus I am always pushing myself to create breathtaking Show Day Packages that magnifies my clients at their best. Whether its a suit, posing, or show day glam my goal is simple….to see my clients Shine, Glitter, & Star each time they perform on stage! We are all born with a purpose and its to serve one another in an impactful way through our work. 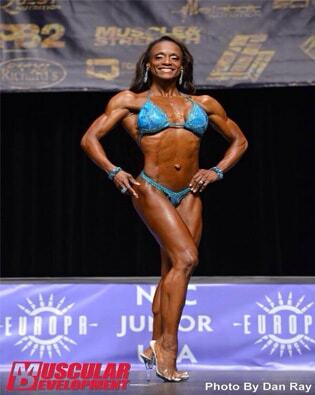 When I won my IFBB PRO card I was elated. But when you, one of my Cuties does well I cry. Nothing Compares with contributing to another person’s dream and seeing it come to fruition! This is where the foundation is set. 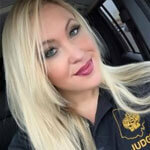 We meet either in person or via Skype to plan and discuss your competition suit cut, color, and stoning. I welcome your input and together we work on creating a design that will not only look beautiful but frame your physique perfectly. This is where I implement my proprietary design process. My suit design process is based on my Perfect Fit Design app, a foolproof measurement & design process that guarantees the perfect competition suit fit everytime-guaranteed! I had this app created exclusively for my clients & it makes all the difference-there’s nothing like it. Now you’re ready to take on any stage in the country! Remember once a cutie always a cutie, I am here to help you before,during and after your show. So breathe,enjoy and celebrate-because your competition suit and will be a winner a true unicorn in a field full of horses. “I thoroughly enjoyed being a part of Shawn’s Cuties Conquering Stage event! 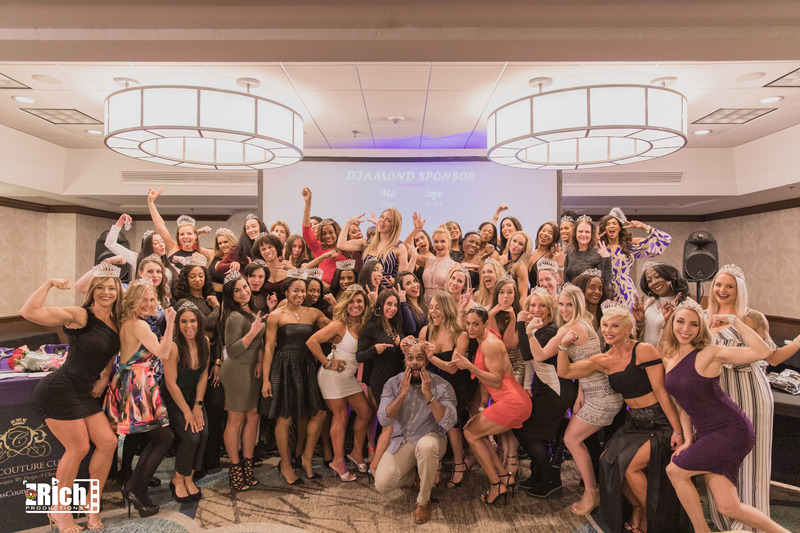 It was by far one of the most well-run seminars I’ve ever attended, covering everything from posing, hair and make-up, suit selection, training and nutrition, photo shoots and sponsorship opportunities…even life balance and meditation to keep you mentally in the game! 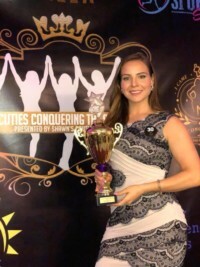 As an IFBB pro in 2 divisions herself, Shawn knows personally what it takes to succeed on stage….and she uses her extensive knowledge and experience to help others not only win awards but enjoy a positive contest experience. I highly recommend her events, presentation coaching, and suit designs for any competitor looking for that competitive edge! With Over Three Thousand Cuties in 10 Countries Supporting us, We’ve Become One of The World’s Most Trusted Voices Sharing The Best of What Shines, Glitters & Stars on Stage! Are You Ready For Your Unicorn Status Show Day Package? Self-confidence shines through when you look good, feel good and have absolutely no doubt that you belong on stage with every other competitor. And nothing provides that level of self assurance than having a stage and show day package that rocks! When your suit, posing and show day glam are all on point that’s when you’ll find yourself commanding the stage with a confidence that simply cannot be beaten.